These days, with such a large variety of filaments on the market, the quest for the “perfect” filament has begun. Filaments have many different properties and many different applications. Some have higher melting points, and they are much stronger. While other filaments have lower melting points, and they may even melt in the sun! Many different companies (including Colorfabb) have been experimenting with different blends of these properties in the quest to create the “perfect” filament. Theoretically, the “perfect” filament would be a nice blend of all the different properties. It would be strong, but not brittle. It would be dimensionally accurate, but it wouldn’t have surface quality issues. As you can see, creating the “perfect” filament is quite the task. 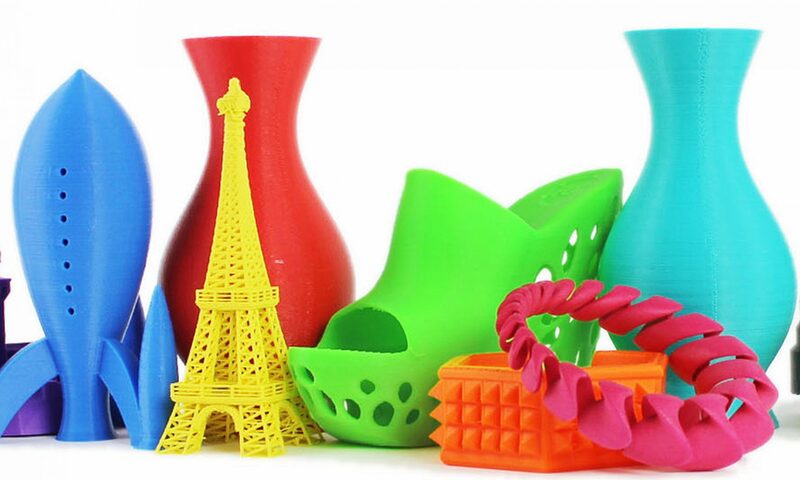 Colorfabb has taken their shot at the “perfect” filament with nGen; the latest filament in their product lineup. For the past few months, I have been testing Colorfabb’s nGen filament. Colorfabb has a large reputation in the 3D printing world, so my expectations were set pretty high. In this review, I will go through each of the categories listed above and explain my rating of each one. First up is “Quality of Filament”. In my opinion, Colorfabb may be the best filament company out there in terms of quality. The filament came on a nice transparent spool, (no flimsy cardboard!) and the diameter was extremely consistent. This led to nice easy printing later on. The filament itself was extremely smooth, and it even had a bit of a sheen. I was very impressed with the quality of nGen. The parts produced using nGen filament looked great. The filament lay down smoothly, and everything was printed correctly. Again, the overhangs weren’t super great, but most of the overhangs printed were definitely passable. Yet, I believe nGen’s greatest quality was dimensional accuracy. Most filaments are “kind of” dimensionally accurate, but they either shrink or expand after heating. However, nGen proved to be extremely dimensionally accurate, with .1 mm tolerances. Overall, the prints made using nGen looked great. It’s always interesting to measure filaments by their “ease of use”. Some filaments are nearly impossible to print with, but the results produced are incredible. Others are easy to print with, but the results aren’t so great. I believe nGen struck a nice balance in between the two. While it was somewhat brittle and parts occasionally snapped off, I believe the filament was relatively easy to print with. It stuck nicely to the bed, and it lay down smoothly. Overall, I believe nGen is a great filament. While it wasn’t quite the revolutionary material I was hoping for, it did bring some nice unexpected qualities (such as dimensional accuracy). The quality of the filament itself was exceptional, the filament was easy to print with, the prints produced were stunning, and nGen was relatively easy to use. All of this combines to create a filament that is definitely capable of creating some Epic 3D Stuff.